Thank you to the BIGGA Scotland Members who made the time to attend the MTS Group knowledge sharing session and product demonstrations at the Westerwood Golf Resort in Cumbernauld Scotland on the 30th November. 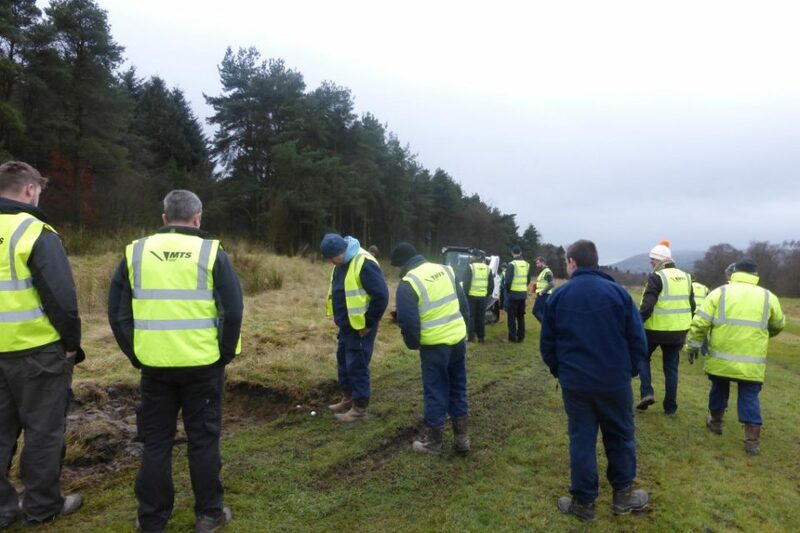 The day provided all with the opportunity to learn about the Bobcat specialist plant machinery and how the equipment can lend itself to golf course management, providing alternative methods to increase quality and reduce job time whilst managing cost and expenditure. All appreciated the versatility of the compact Bobcat loaders along with the ease of which the wide variety of interchangeable attachments could be utilised. The strength of the Forestry Mulcher and Stump Grinder made short work of the tasks in hand. The Tree Transplanter demonstrated the ease and speed now available through utilising machinery. Other plant machinery displayed included a number of excavator’s ideal for course maintenance, both Bobcat and AFT Turf Trenchers and the Bobcat Wood Chipper. In addition, the attendees had the opportunity to explore the advantages of the new Club Car’s Carryall utility vehicle range, in particular the diesel 4wd Carryall 1500, which was of particular interest thanks to its more rugged capability’s making it better suited to the turf industry. At MTS Group, we are an approved Club Car Dealer who have been operating in the plant and machinery industry for over 25 years. We offer all the equipment demonstrated on the day for hire. Alongside this, we also provide specialist ground care advice, product demonstrations and are a registered training provider. Working from four key locations in Cumbernauld – Scotland, Newcastle – North East, Wakefield – West Yorkshire and Leigh – Lancashire, we currently serve over 160 UK Golf Clubs with many of Scotland’s leading clubs as part of our portfolio. We would like to thank BIGGA for their help in promoting the event, along with thanks to the Westerwood Hotel for their support in making the day possible and a huge thank you to the BIGGA members who attended on the day, BIGGA CPD credits were available to members who attended. Please prove you’re not a robot, what is 4+2?